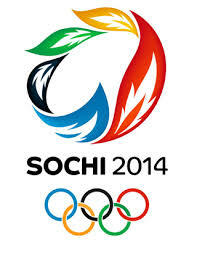 I really am trying to be positive and enthusiastic about this years Winter Olympics. Afterall, the athletes, their families and coaches have all poured their heart and soul in to this opportunity of a lifetime. Yet, I am less than enthused. Am I alone or do others share in my sentiment? I love luge and figure skating. I admire the athletes for their amazing talents – and yet I find myself going to HGTV or catching up on Downton Abbey instead. I think it is because this year’s Olympics feel like a news story more than a sports story. I keep waiting for some disaster to occur. We have been warned of the many dangers for months and now I feel like I am waiting for “Breaking News” and it won’t be about any sport. I hate feeling this way, but after conversations with others in my social circles I apparently am not alone. Thanks for the shout-out! The media does love to sometimes focus on the negative, it’s so true. So much so, that it’s tempting to just take a holiday from the news! We’ve been enjoying hockey and snowboarding here! Oh so glad that people ARE enjoying the Olympics. I plan on giving it a college try- so to speak- this weekend!